The elusive fishing cat is so rarely observed in Cambodia that its population size is very difficult to estimate. As its name implies, the fishing cat mainly feeds on fish and can dive into water to catch its prey. Illegal poching presents a large threat to this species, and its preference for wetland habitats has led to severe population declines thought to have exceeded 50% in the last 18 years. 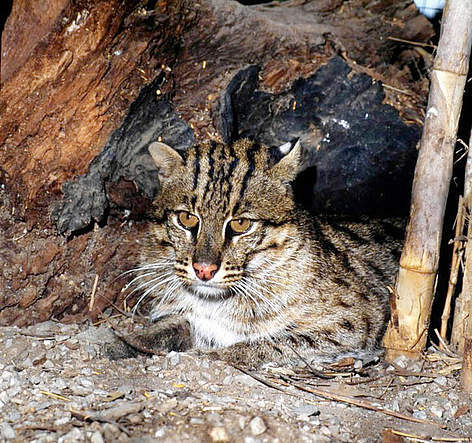 In Cambodia, images and footage of fishing cats have been captured in September 2015, providing the first official records for the species since 2003. The remaining population is thought to be small and effective steps are needed to protect these reclusive cats from indiscriminate snaring and trapping and their wetland habitats from modification, encroachment, and overfishing.